There are many different restaurants in the world, but a common thread that runs through the finer establishments is an appreciation of fresh ingredients. The higher quality the restaurant, the more prominently it touts the fresh salmon and squid that were flown in that morning, or the pastries that came from the oven and into a patron's hands. But, as much as the freshest ingredients hold supremacy in the food service industry, certain foods can be comfortably stored in refrigeration units, thereby saving time and money. Here are some tips about how long certain foods can remain in a cold storage unit, and how to know when they are past their prime. Please note that these tips are based on the assumption that restaurant refrigeration units run between 34 degrees and 40 degrees Fahrenheit, which is the optimal temperature range for cold storage, according to the University of Nebraska's Home Food Preservation service. 1. Eggs: When they are still in their shells, eggs can keep in the fridge for up to five weeks, according to the Food and Drug Administration. That time significantly decreases as soon as the eggs are either opened or cooked. Once boiled, eggs can be expected to last about a week in the fridge. The period for raw yolks and whites is even shorter - about two to four days. Fortunately, the warning signs that eggs have gone bad could not be clearer. Because of their bright white color, any discoloration will be immediately evident. And as for the stench that emanates from a bad egg - well, that's one everybody knows. Also, although it may be tempting, whole eggs should never be frozen, though raw yolks and whites can be kept in the freezer for up to a year. 2. Raw hamburger meat: Unless a business is planning to use hamburger meat within a day or two, they should plan on storing it in the freezer, where it can comfortably last up to four months. Considering hamburger meat should only last about a day or two in a refrigeration unit, it is important to check it and make sure it's still good before preparing. Any sour smell given off by the meat could be a warning sign. Also, it is always recommended to eyeball the meat before beginning to prepare it. It should be red. If it retains a grey color 15 minutes after being removed from the fridge, it is not advisable to eat. 3. Fish: Generally fish can be kept in a refrigeration unit for one or two days and in the freezer for between two and six months. Like eggs, the process for ascertaining if fish is spoiled centers on smell. That is because not all fish gives off an unpleasant "fishy" odor - only fish that's gone bad. If the fish is fresh, it should give off very little odor at all. And, like hamburger meat, fish tends to turn an unnatural greyish hue if it is past a useable period. But the United States Department of Agriculture advises against worrying too much if only one of the factors is present. If, for example, fish appears grey but does not give off a strong odor, it is likely still good to use. 4. 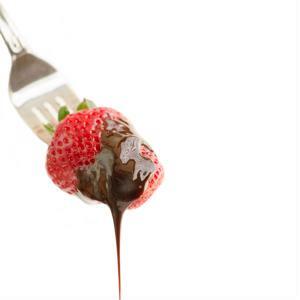 Strawberries: A salad and smoothie staple, restaurants are advised to always have fresh strawberries on hand. According to EatByDate, fresh whole strawberries can be safely stored in the fridge for five to seven days and last up to eight months in the freezer. Unlike the other foods on this list, which rely on smell and sight, strawberries call for touch to determine spoiling. A ripe strawberry is crisp and should not leave an indentation when touched. The softer and more mushy a strawberry gets, the worse it is. In order to make sure the refrigeration units are working properly and are able to keep food as fresh as possible, cold storage areas should always come equipped with temperature monitoring equipment.